Leading US citrus grower-packer-marketer Limoneira has increased its production footprint through an agreement with FGF Trapani, a multi-generational, family owned citrus operation in Argentina. Once finalised, the deal will see the California-based company immediately acquire 25 per cent of FGF'S land parcels, approximately 1,200 acres (486ha) of planted lemons. An additional 25 per cent will be acquired over a three-year period. The pair will operate a joint venture under the name Trapani Fresh. 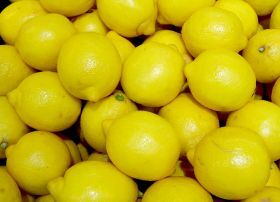 Limoneira will create a subsidiary in Argentina (Limoneira Argentina), which will act as the joint venture’s managing partner, responsible for all fresh fruit sales. The agreement is expected to close in mid-March (2019), with FGF maintaining 100 per cent ownership and control over its juice processing facilities and operations in the province of Tucuman. “It’s very exciting for us to expand our global footprint into Argentina and thereby strengthen our ability to become a 365-day, 24/7 global supplier of fresh citrus to our valued customers around the world,” said Alex Teague, Limoneira’s senior vice president. Founded by the Trapani family in 1937, FGF has developed into one of Argentina’s leading citrus producers, with over 3,200 acres of lemons and oranges planted in the provinces of Salta, Jujuy and Tucuman.